The Telematic Dinner Party explores the growing trend of people remotely connecting in social and leisure settings. 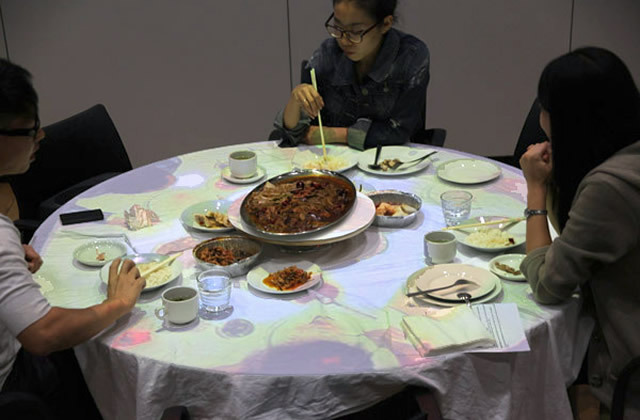 Drawing on this trend, performative arts and existing telecommunications research, we identify the social practice of sharing a meal together as ripe for reinterpretation within CMC. Ultimately the aim is to recreate and re- imagine something everyday, eating with others, a social communion. Something that is for everyone and to can be shared with anyone. We explore the opportunities to design a technology platform that supports remote guests in experiencing togetherness and playfulness within the practices of a traditional dinner party. 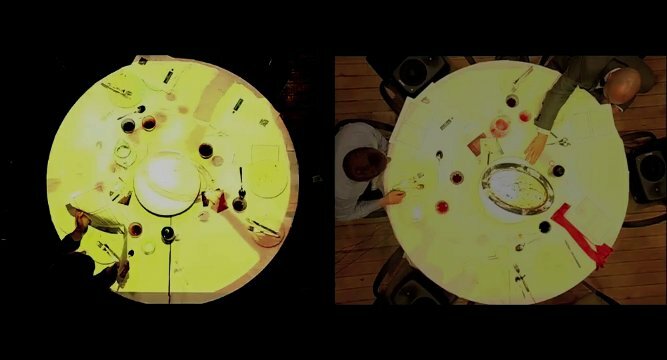 Through both visual and aural channels as well as remote agency, the dinner guests were able to share a holistic telematic dining experience comparable to a traditional co-presence dinner. Based on the findings, we propose that one must consider the social structure and cultural background of users to inform the design of a technological intervention that supports a sense of togetherness. are divided into two groups of three in separate locations. to tease each other by turning the food away from each other. Barden, P., Comber, R., Green, D., Jackson, D., Ladha, C., Bartindale, T., ... & Olivier, P. (2012, June). 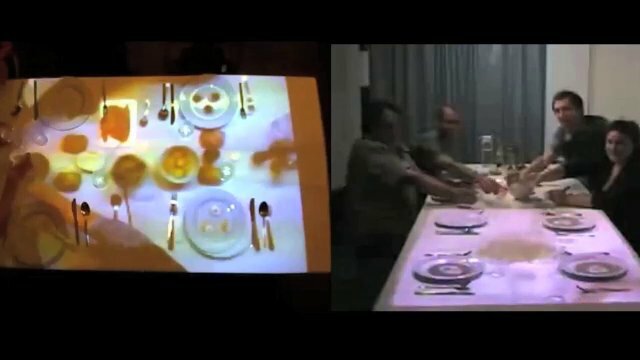 Telematic dinner party: designing for togetherness through play and performance. In Proceedings of the Designing Interactive Systems Conference (pp. 38-47). ACM. Barden, P., Comber, R., Bryan-Kinns, N., Stockman, T., & Olivier, P. (2012, August). The telematic dinner party. In ACM SIGGRAPH 2012 Posters (p. 82). ACM.